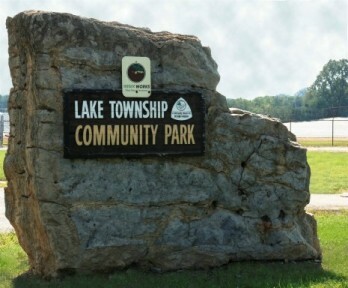 The Lake Township Community Park, which is located behind the Lake High School Stadium, has a .56 mile walking trail. The trail is intended for use by walkers and joggers only. No bicycles or skaters. The park also has a tot lot, picnic tables and restrooms. The park closes every day at dusk. Patrol is provided by the Uniontown Police Department. The Stark County Park District operates David Fichtner Outdoor Education Center on Market Ave. north of State Rt. 619. This 13-acre education facility includes wooded hiking trails, a fishing pond, a waterfowl viewing blind, and a wetland with a boardwalk. Butterfly watchers enjoy a gently rolling trail that is home to 19 species of butterflies including monarchs, viceroys, tiger swallowtails, and red admirals. Song birds, waterfowl, rabbits, fox, and white-tailed deer can be seen near the wetlands and adjoining woodlands. Quail Hollow State Park is located in the northeast section of Lake Township and is devoted to the recreational study and appreciation of Ohio’s cultural and natural history. On May 15, 1975, Quail Hollow came under the administration and management of the Ohio Department of Natural Resources, division of Parks and Recreation. 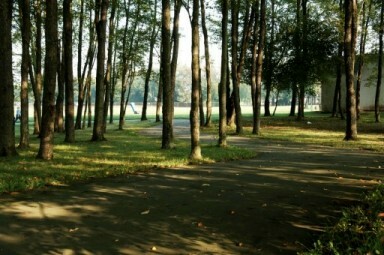 Today the park is now administered by the Stark County Park District, Quail Hollow has trails ideal for hiking, jogging, and cross-county skiing, including several interpretive nature trails for exploring the park’s unique natural habitats. More information is available on the Stark Parks website. The Uniontown Community Park Association operates the Uniontown Community Park, occupying twenty-five wooded acres at the end of Apollo St., off Cleveland Ave. in Uniontown. The park has a playground, an outdoor gazebo, an open picnic shelter seating 36, outdoor picnic areas, horseshoe pits, a volleyball court and a fishing pond. The All Veterans Memorial was added in 2005. Their Community Center, seating 250 people, is a favorite place for wedding receptions, dances, parties, and meetings. Reservations may be made with the Uniontown Community Park Association (330.699.1290). The Greentown Community Park, supported by the Greentown Civic Association, is located northwest of the Greentown Square. 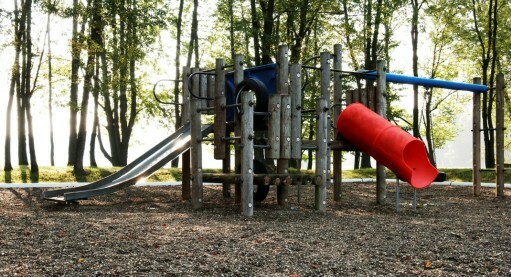 The park has a playground, basketball courts, baseball fields, tennis court and a horseshoe pit. A building is also available for public use. Clearwater Park is a private recreational park that has a swimming pool, basketball courts, campgrounds, game room, picnic areas and a pavilion that is available for rental. The Village of Hartville operates Memorial Park, on Lincoln St. across the street from the elementary school complex. There is a children’s playground and a half-mile walking path. The park closes at dusk. Reservations for the picnic pavilions may be made with the Village office (330.877.9222). Also located within the township is Seven Hills Golf Course, which is an 18-hole public course. A private course is located at the Congress Lake Country Club and is available by membership only.